Code Compare adds value to Review Assistant when tools are used together. That's why they are sold in code review bundle. Buying the bundle saves you money on both tools. 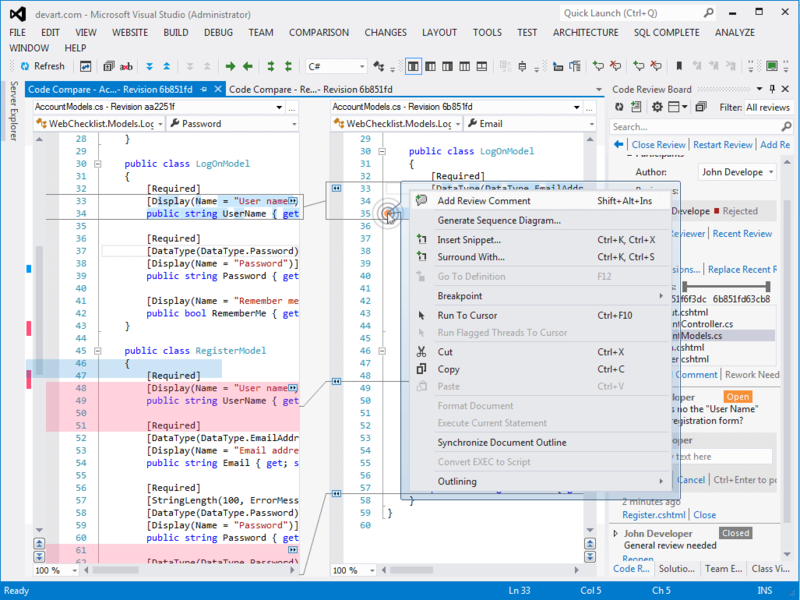 Review Assistant is a code review plugin for Visual Studio. This tool helps you to create review requests and respond to them without leaving Visual Studio. A tool designed to compare and merge differing files and folders, which integrates with all popular source control systems: TFS, SVN, Git, Mercurial, and Perforce. 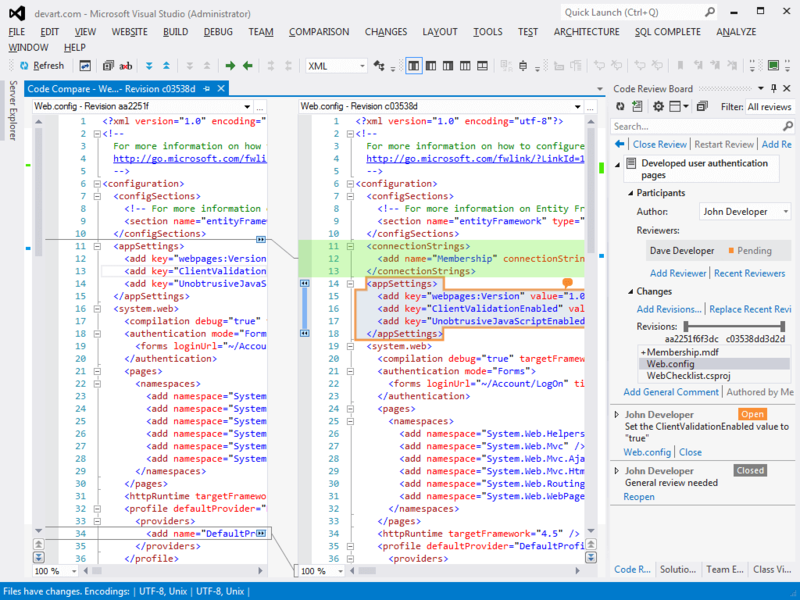 Review Assistant leverages Visual Studio extension of Code Compare. The following features are available only when you use both tools. Adding code review comments when comparing source file revisions. Viewing added review comments from a file comparison document. Highlighting of code regions with review comments. In-place code review for external version control clients like TortoiseSVN. Read our Code Review Guidelines to go deeper into the code review process and get your team to a higher level of coding. The table below contains Code Review Bundle prices. $60 per developer for both tools + 1 year subscritpion. $46 per developer for both tools + 1 year subscritpion. $40 per developer for both tools + 1 year subscritpion. $35 per developer for both tools + 1 year subscritpion. Renew Code Review Bundle subscription for 1 year. Upgrade Code Review Bundle license from 10 to 25 users. Upgrade Code Review Bundle license from 25 to 50 users. Upgrade Code Review Bundle license from 50 to 100 users. 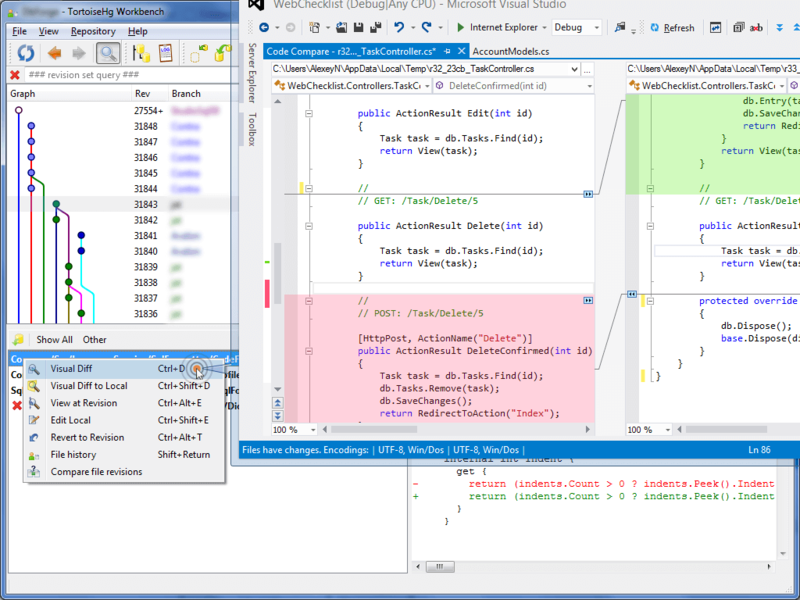 Upgrade Code Review Bundle license from 100 to unlimited number of users. Does Review Assistant mandate buying Code Compare Pro? No. 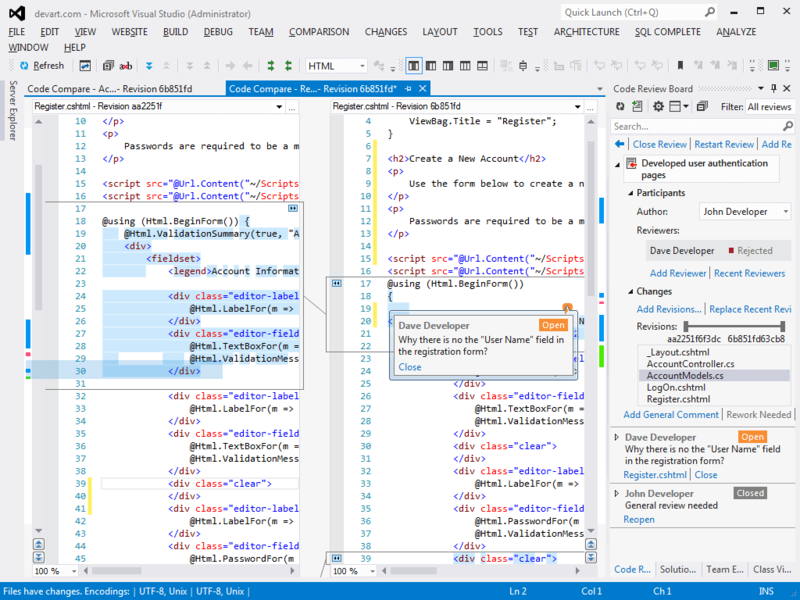 You still can use the free version of Code Compare with Review Assistant. Learn more about benefits of Code Compare Pro.